Most people, when searching the topic “Yoga for Lower Back Pain,” are in pain or want to help someone who is in lower back pain. They want to know “yoga poses for lower back pain” or “which yoga is best for lower back pain,” or even “is yoga good for lower back pain?” So, I would like to share what I know. I have 2 titanium discs in my lower back and have dealt with lower back issues for over 25 years. I would like to share what I have discovered, as I have found yoga poses that relieve back pain, as well as those that irritate. 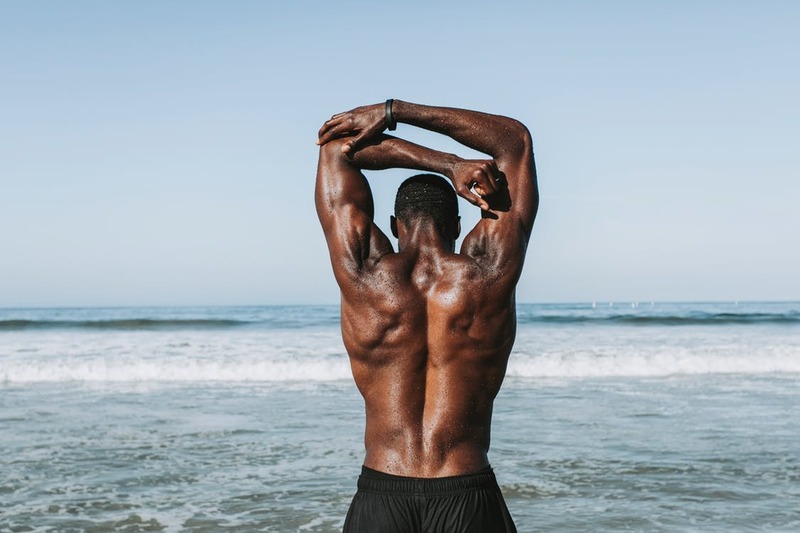 I have found yoga exercises for lower back pain, these are exercises that strengthen and support the region so your spine doesn’t have to take all the weight and pressure, therefore relieving compression. You may want to know which type of yoga is best for lower back pain, or even which sequences are best for lower back pain? I will try to clarify this topic and offer my experience in hope that this helps. I have heard that 80% of Americans suffer from or have suffered from back pain. I have heard that after the common cold, there is not a larger ailment! So this topic is of mega importance to many, many folks. First, let’s address the cause for most lower back pain. From what I know, the two main culprits are stenosis and disc bulge or herniation. Although I have heard that there are also many cases where our medical community is actually unable to find the cause of pain. Yet even without knowing the cause, addressing the area can provide relief. Stenosis and bulging or herniated disc are two very different issues, so figuring out what’s going on is important to treatment. I recommend getting a MRI, which is non-invasive and can give a picture of the issue so it can be properly addressed. My issue was herniation, which could easily start as a bulge. This is the issue behind the majority of back pain, and this is what I will address here, as this is where my experience is. I will also only be addressing non-invasive ways to address this issue. Yet there has been quite a lot of success with micro discectomies and artificial discs, although long-term studies may be lacking at this point. I believe the spine has about 24 vertebrae, and in-between the vertebrae is a gel-filled tissue called disc. Due to severe compression or even mild compression over time, the pressure on the disc creates a bulge or even a tear in the disc tissue where the gel pushes out. The bulge or oozing of gel brushes or pushes against nerves creating pain. The pain I am familiar with is mechanical pain, which is caused by disc tissue rubbing against nerves when there is movement, and sciatic pain, which can be incessant as there is incessant pressure applied to the nerve, or occasionally due to posture, as in seated for long periods or other posture-related activities. Personally, I was never able to find relief, hence the disc replacement surgery I eventually succumbed to. Yet I was also not willing to stop picking up and carrying my kids, even as they got older, which really exacerbated the situation. Yet I tried every healing modality I could find for 19 years before succumbing to surgery, and I became quite educated on the topic. which simultaneously lengthens as well as strengthens. You can also use a gravity inversion table, which allows you to lie at a modest angle, head towards the ground, gently pulling your body longer (this is much more gentle than the extreme gravity inversion boots which have you hang upside down by your ankles). Lastly, you could lie on your back with arms stretched out and relaxed on the floor behind you, and allow some strong but gentle person to clasp your ankles and pull your legs away from your outstretched arms (this feels amazing). and the second is called reclining twist (see below). Spend about 3 minutes per side, gently giving the muscles a chance to soften. You can also get this region massaged. Massage is a wonderful tension buster. More support means less compression. One last item here. Stress and its antidote, meditation. Stress is a precursor to muscular tension, if not the largest contributor to back pain. Please consider cultivating a meditation practice, and please let me help you by offering you one for free. You will find all these exercises and meditations, and so much more embedded within all my classes, here at www.poweryoga.com. Please join us!